It’s winter time and the holiday season is right around the corner. Although we all look forward to celebrating Christmas, buying presents, and spending time with our families, oftentimes our holiday spirits are crushed by seasonal viral and bacterial infections. The common cold and flu are problems most people have to deal with every year. The symptoms can go from mild to severe, and are very annoying and often prevent us from going about our day. What’s the Difference Between a Cold and a Flu? Although the symptoms of the cold and flu and pretty similar, at least in the beginning, people often confuse the two and can’t tell the difference until it’s too late. They are actually two different types of viruses. The common cold is caused by over two hundred different viruses. This is the reason why we can’t cure the common cold and stop it from happening. The flu, on the other hand, is caused by the influenza viruses. All of these are respiratory viruses, they invade the body, multiply and cause very similar symptoms because the body has only so many ways to fight off a viral infection. When your body is invaded by a virus, chances are you’ll get the same symptoms every time: dry or sore throat, coughing and sneezing, mild fever, congestion, and a headache. If it’s really bad, you’ll get aches and pains in your muscles, as well as exhaustion. This happens because your body is spending resources fighting off that viral infection. In general, the flu is worse than the common cold. The fever is higher, the aches and the level of exhaustion are more pronounced and the cough might be more intense. The cold produces a milder fever and affects the throat and causes a runny nose. The flu affects the lungs and the joints. Once you’re infected, you only have a couple of days to get treatment. After the first 48 hours, the infection has usually stopped multiplying and is wreaking havoc on your body instead. Once the symptoms start, there is no simple cure. Antibiotics will not help because they fight bacteria, not viruses. Generally, it is recommended that you boost your immune system, take a lot of vitamin C, and zinc is actually also very good for these symptoms. The amazing thing is that you can get all of that by drinking tea. Not only do you get an abundance of vitamins and minerals in your cup of tea, but hot beverages are usually recommended for congestion, cough, and headaches. And if you’re not a fan of vaccines, or modern medicine, teas are natural remedies that won’t have any negative effects on your body. There are many different teas you can drink to help relieve your cold and flu symptoms, but we’ve compiled a list of the absolute best ones that will help you in no time! 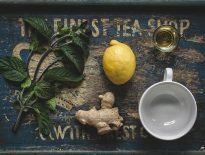 You have probably already heard that ginger does amazing things for your body, but did you know that is one of the best ways to reduce cold and flu symptoms? This tea is known to clear up congestion and help you breathe more easily. It will also help with a runny nose and warm you up which helps with the fever. Its anti-viral properties will fight the cold and flu viruses and help your body to remove them. Ginger tea is also a great immunity boost which is very important when your body is being attacked by viruses. It is rich in vitamins A, B6, B12, C, and D, and drinking a couple of cups a day will relieve those annoying symptoms in just a couple of days. Ginger tea also works as a prevention, so if a lot of people around you are sick and you feel like you might pick it up, start drinking tea immediately and prevent the viruses from infecting you. Licorice works like magic when you got the cold or flu. It is a known cough suppressant and it will make your throat feel much better. It breaks up mucus and helps your body to get it out. It will restore energy to your weak body that has been affected by the virus and restore your immune system. Another great thing about licorice tea is its amazingly sweet flavor that will get you feeling much better. So it is no wonder that licorice has been used for centuries as an important ingredient of natural medicine. 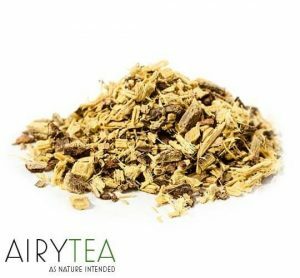 Click here to buy licorice root tea. As you might already know, peppermint tea is great for your throat. It also has the ability to decongest so your nasal passage will quickly be back to normal. Due to its antispasmodic properties, peppermint tea will stop you from coughing so much which can provide so much relief. Constant cough can be so annoying and this is a nice, natural way to deal with it. This tea is also great for your immune system and if you drink it regularly, it can even prevent the symptoms of the cold and flu from happening in the first place. 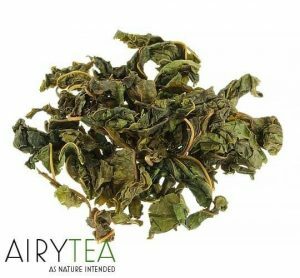 Freshy dried mint tea is available at AiryTea. This vitamin rich tea is exactly what you need to combat the awful symptoms of the common cold and flu. Made from dried tangerine peels, it contains a lot of vitamin C, and we all know that you should increase the intake of vitamin C when you’re sick. Tangerine peel tea can also break up the mucus in your body and significantly reduce coughing. If you drink this tea a couple of times a day, your cold symptoms will quickly go away and you will soon feel much better. Pesticide free tangerine peel tea, order here. 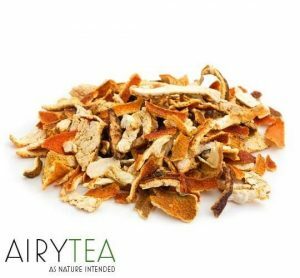 This unique tea is made from the dried flowers of the orange plant and it is a known natural remedy that has been used for hundreds of years. Among other things, it can be very beneficial for your throat. When you feel a sore throat, simply make a cup of orange blossom tea and it will feel better. A persistent cough is another cold symptom that can be reduced by drinking this tea. You will feel much better overall and your energy will be restored. Previous articleHow to Brew a Perfect Cup of Loose Leaf Tea? 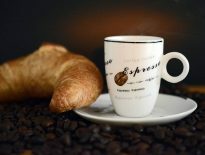 Next articleHow to Reduce or Stop Caffeine Intake with Teas? How to Reduce or Stop Caffeine Intake with Teas? How to Brew a Perfect Cup of Loose Leaf Tea? Lifehacks	How to Reduce or Stop Caffeine Intake with Teas? Lifehacks	How to Brew a Perfect Cup of Loose Leaf Tea?